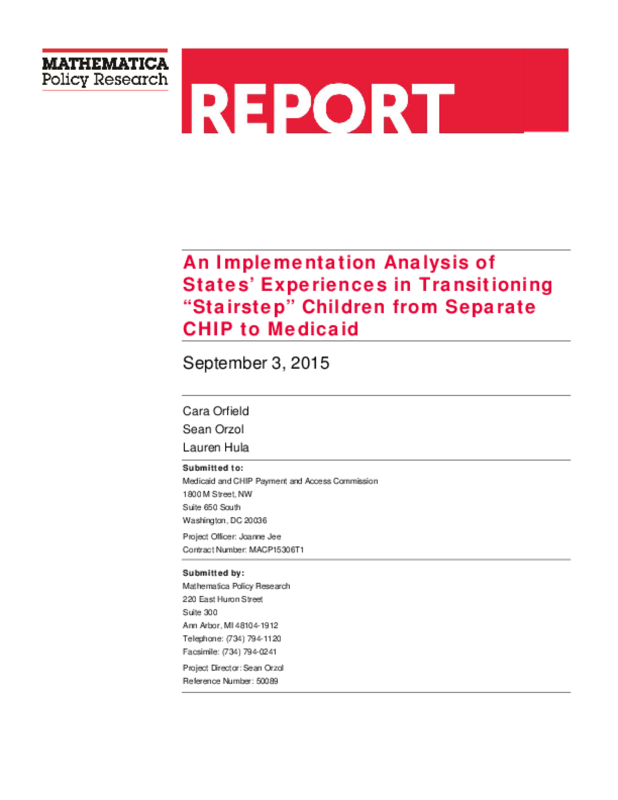 To understand states' experiences in implementing coverage transitions for children, including efforts to make transitions as seamless as possible and to ensure continuity of care, the Medicaid and CHIP Payment and Access Commission (MACPAC) contracted with Mathematica Policy Research to study a specific feature of the Affordable Care Act: the stairstep transition. In this report, we describe 10 states' approaches to the transition, identifying common challenges and lessons learned that could support future transitions between health coverage programs. Findings are based on interviews with state administrators and other stakeholders, including child health advocates, insurance issuers, and provider groups, within each of the 10 study states.